Sculpture Size: 4.25 X 2.2 X 5.25 in. 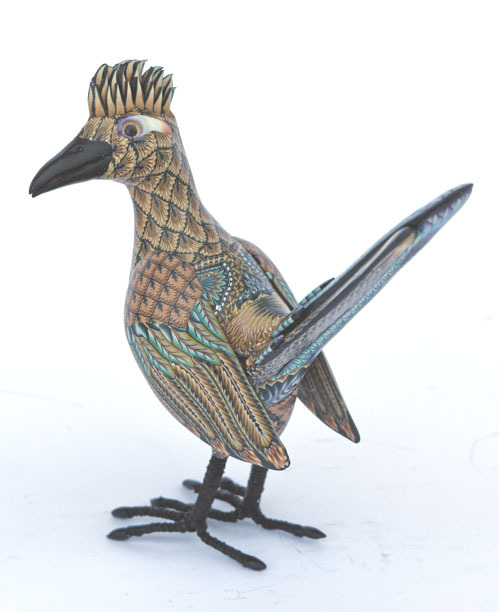 Aviary symbol of the vast Southwest, the Roadrunner is a totem of intellect and metal acuity. Roadrunners are almost flightless members of the cuckoo family and can sprint to speeds of almost twenty miles per hour. The distinctive crest reflects the activation of our metal faculties and the agility of rapid decision making. Roadrunner can help you to think and react quickly to current situations and gives the ability to alter your inner thought processes. Contrary to popular belief, Roadrunner is neither blue in color, nor says "beep beep"!